Those who deny God’s existence are ingrates. Anybody who believes not in a Supreme Being shouldn't pretend that he knows everything. But if his mind is telling him that he has not the capacity to know and understand everything that exists, then he must accept that there is a reason behind the existence of everything. The most intelligent man who lived on earth had confessed his inability to understand everything under the sun. Scientists believe that nothing will happen without a cause. Although it is a principle in science, some scientists who do not believe in God ascribe to nature everything that exists. Let us examine if there is a rationale in this. Nature is defined by human dictionary as the original unaltered state, character and condition of everything that exists in the entire universe. There is no definition whatsoever that ascribes to nature the creation of anything. In nature, there are laws, there are mishaps (meaning things happening beyond the law of nature). In nature, there are accidents like mutations, bearing of twins, triplets, and the existence of third sexes caused by the imbalance of the male and female hormones in an individual, etc. Nature is not as consistent as it should have been since time immemorial. But while there are mishaps and inconsistencies in nature, there is Someone consistent and will not change: this is God. He ordains, controls and can alter nature. Sea waves are ruled by nature to stop on the shores, but God can call the waves to transgress the shore and cover the land. Man is helpless against the power of nature. Nature kills — sometimes violently, sometimes in great number. If we are under God’s care and guidance, we will be safe before occasional furies of nature. I am a grateful creation of my Creator, and I will forever be, with His help. I have unspeakable reasons to be thankful to Him. My being, my strength (and weaknesses), my wisdom (and ignorance), my abilities (and inabilities), everything I possess bespeaks of His power, loving-kindness, compassion, and grace that calls for praise and thanksgiving. Why should everybody be grateful to God? Is there anything in us that we did not receive? Have we provided ourselves with life and strength? Nobody can answer in the affirmative. Then, if the answer is ‘no’, we must admit that somebody far, far greater than ourselves gave these things to us. The King David, after realizing this, burst into thanksgiving. This declaration stands unchallenged even by the most powerful of human beings that have existed and now exist on earth. This is God’s signature on His authority over everything that exists. It is God’s will that His creation be grateful and offer Him the sacrifice of ‘thanksgiving’. I firmly believe that you and I belong to one of these generations mentioned in the preceding verses. Until now and forever, the Lord is good, His mercy is everlasting, and His truth endures. Thanksgiving springs from the heart of somebody who has the understanding that he does not live by himself. God is a Being that cannot be seen with our eyes, but can be felt by our hearts. Our conscience as human beings does testify of His existence. They demonstrate that God’s law is written within them, for their own consciences either accuse them or tell them they are doing what is right. Man’s conscience can teach him what is good and what is bad; what is right and what is wrong; and the preference for goodness in the heart of a man proves the existence of God. Let us all offer unto God praises and voices of thanksgiving, for we are all indebted to Him. The offering of thanksgiving is a good thing in the sight of God. Refusing to do what is good is a sin. Being ungrateful is a sin! As it pleases a doer of good to receive gratitude from the recipient, it is well-pleasing to God to be thanked by the recipients of His goodness, loving-kindness, and mercy. 23 The Lord says, “Let not a wise man speak with pride about his wisdom. Let not the strong man speak with pride about his strength. And let not a rich man speak with pride about his riches. 24 But let him who speaks with pride speak about this, that he understands and knows Me, that I am the Lord who shows lovingkindness and does what is fair and right and good on earth. For I find joy in these things,” says the Lord. There are people prophesied in the scriptures, and called the people of God in the last days, that will fulfill this prophecy. 19 From them will proceed thanksgiving and the voice of those who celebrate; And I will multiply them and they will not be diminished; I will also honor them and they will not be insignificant. 20 Their children also will be as formerly, and their congregation shall be established before Me; And I will punish all their oppressors. 22 ‘You shall be My people, And I will be your God. 23 Behold, the tempest of the LORD! Wrath has gone forth, A sweeping tempest; It will burst on the head of the wicked. 24 The fierce anger of the LORD will not turn back until He has performed and until He has accomplished the intent of His heart; in the latter days you will understand this. To God belong all praises and honor forever and ever. Amen. Having heard the news that a religious leader was displeased with President Noynoy Aquino when the latter did not take all the recommendations of the former for appointive positions in government, a high ranking official of the judiciary exclaimed, “These people are the biggest threat to our democracy!” I know the man who said this. I believe he is a man of integrity. In his lengthy service to the Republic, there was no report of corruption nor any scandal wherein he was involved. He is a man of reasons and I believe what he said about such religion and their leaders. 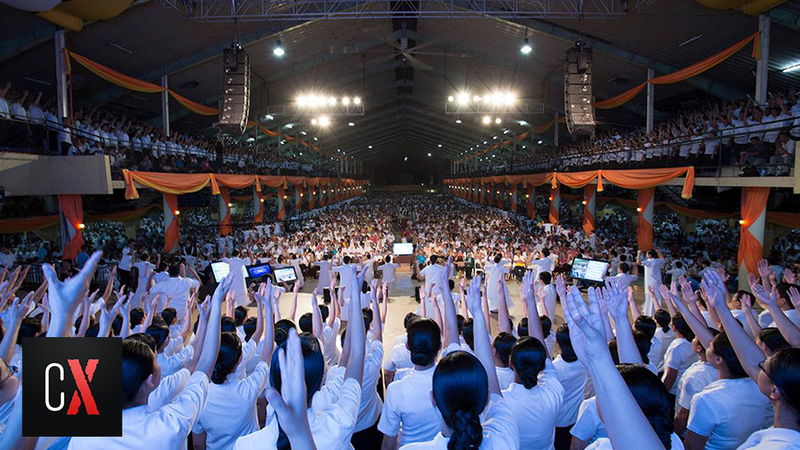 On Target : Iglesia ni Cristo displeased with P-Noy? I’m glad to know that there are now officials in our country that can notice the danger being posed by religious leaders that dictate who their members should vote for in an election, with the threat that they will be excommunicated if they do not follow! Such an act constitutes a blatant violation of the law of God that prohibits a religious leader to act like a lord to his flock! (1) Any public officer, or any officer of any public or private corporation or association, or any head, superior, or administrator of any religious organization, or any employer or land-owner who coerces or intimidates or compels, or in any manner influence, directly or indirectly, any of his subordinates or members or parishioners or employees or house helpers, tenants, overseers, farm helpers, tillers, or lease holders to aid, campaign or vote for or against any candidate or any aspirant for the nomination or selection of candidates. This law, if not being ignored, is simply being regarded as a decoration (like jewelries and "burloloys" of a harlot) by the concerned authorities who should punish violators! There is leniency on the part of the COMELEC, the governing officials, and election candidates, because they take advantage of being favored by the wishes (Read: bloc-vote practice) of these religious leaders, who in turn favor them with an advantage over appointments and contracts in government! There appears to be matching favor for favor between politicians and these religious leaders who are both greedy of power and money! And the result is? 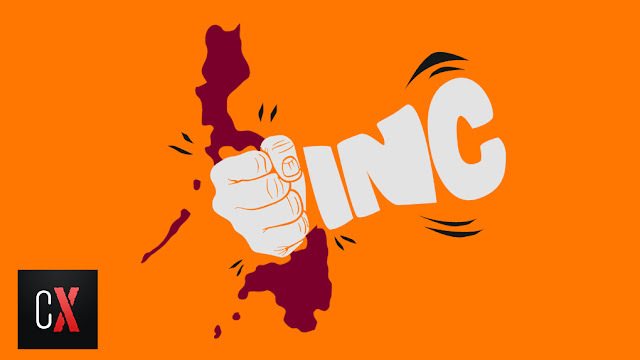 A history and a culture of corruption in Philippine politics. I am also a religious leader with quite a number of followers in the Philippines and around the world. In my 52 years of service to the Church of God, I have never compelled any member to vote for the candidate of my choice, or even threatened them of being excommunicated just because they did not vote for my candidate – after all, a politician is not a sufficient reason to cast a member of the true church to hell. A brother in Christ must be loved more than a politician outside the true church. 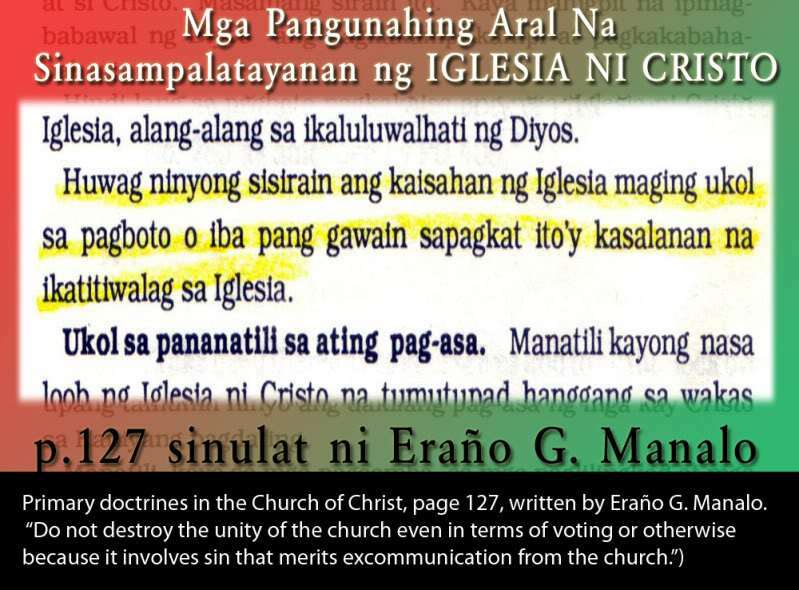 The Iglesia ni Manalo (Iglesia ni Cristo) is strictly implementing this wrong practice of dictating to their members whom to vote for in an election. Members are deprived of their constitutional right to vote according to their conscience without any intimidation and coercion. They are also deprived of the Biblical right to choose for themselves. Why is there a threat on our democracy from these practices in religion? Granting that this religious group has gained grounds being in the majority of Philippine populace, the wish of the leader will be the deciding factor of who will lead the government, thus turning our government from democracy to religious dictatorship, and directly violating the inviolable provision of the Constitution that there must be separation of the church and the state! Simple deduction and undeniably true! I hope that our politicians realize the danger that follows if these practices are not corrected by proving that nobody is above the law including the leader of the largest religion in the country! These leaders must be punished! ...same things which they have done to Brother Eli. Until next time, God willing. May God Bless the Philippines! 10 Wherefore, if I come, I will remember his deeds which he doth, prating against us with malicious words: and not content therewith, neither doth he himself receive the brethren, and forbiddeth them that would, and casteth them out of the church. Even the Christians of the first century were slandered, no different from me. This is the path that almost all the people of God have walked throughout their sojourn on earth. I believe using mathematical and logical calculations that, I am the most slandered man in the history of Christianity. The defamations being thrown to my person “go beyond borders.” I mean beyond the borders of the land of my birth, the Philippines. By using the most efficient cyberspace technology that is lenient in terms of charging responsibility and accountability, my detractors were able to popularize these lies beyond borders. One thing I can assure the Members of the Church of God International, however, is that the lies they are sending beyond borders, if treated in shallowest of equity and justice, will never gain ground. To my God be the Glory forever! And to me and to all that believe in what I preach, His blessings! Amen. I want you to notice what the verse says. The prophecy speaks of people giving glory to the name of the Lord God of Israel in the coastlands of the sea in the east. 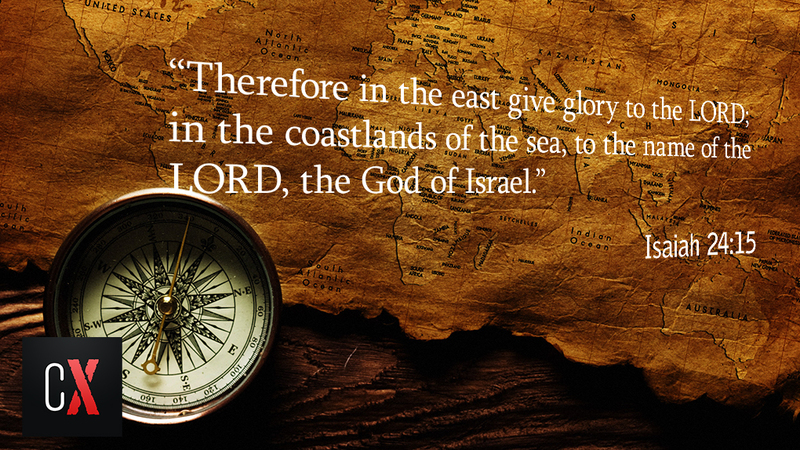 Did you notice the term used “coastlands or the islands of the sea in the east?” In the King James Version, it is translated as “isles of the sea” while in the Revised Standard Version, it is referred to as “the coastlands of the sea”. So, the country being mentioned is made up of many islands and they are islands of the sea. The characteristics of the country called Las Islas Filipinas or later The Philippines is very much fitting. There will be people (from where? in those islands??) giving glory to the name of God of Israel. This is a collateral prophecy very much related to the Malachi 1:11 that we have used earlier. “19 And out of them shall proceed thanksgiving and the voice of them that make merry: and I will multiply them, and they shall not be few; I will also glorify them, and they shall not be small. The prophecy states that there will be people of God in the last days. You should remember that fact in the prophecy – that they are people of God at the time of the end or in the latter days. Out of these people will come out with praises and thanksgiving unto the Lord God of Israel. But you have to notice also that in the verses mentioned, they are few. Nevertheless, the power of God will not see them few for all time because He said that “I will multiply them…,” meaning, they will start from few; “I will glorify them and they shall not be small…,” meaning, at their advent they will be few and they will be small. Out of them shall proceed thanksgiving and the voice of them that make merry for the glory of the name of the Lord God of Israel. How will this start? In the prophecy also, it says that out of them will proceed their governor or their leader and their nobles will come from themselves. A leader or a governor, from among them, shall come. So there will be an instrument like the Apostle Paul who will lead them to be the people of God. Their leader will come from them. Surprisingly true, Brother Eli Soriano did not come from any other religious group. He was born, with his parents already members of the Church of God and they are few. Upon the death of Brother Nicolas Perez, Brother Eli Soriano took the administration in the Church of God which during those times, were but very few. Maybe critics will say, “So, therefore, it was not Soriano who started the preaching, it was Nicolas Perez.” That is true, and we will not refute that, but the prophecy is clear – it will not be Perez that will be acknowledged by God as the leader. He is just like John the Baptist who has preached the inception of Christianity. He did not become the leader but he is the introducer. Nicolas Perez was used as an instrument of God to start the preaching but he is not the supposed leader who will lead the people because he came from another religious organization. Very much like Manalo, who also claims to be the fulfillment of this prophecy. 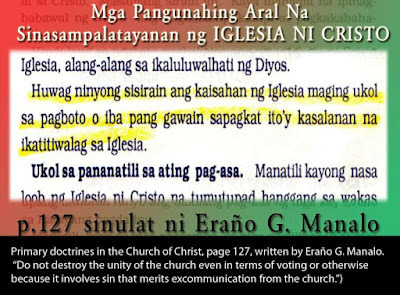 In this case, Manalo, he cannot be the fulfillment, because he was born a Catholic and he became a member of so many religious groups before he finally founded the Iglesia Ni Cristo (of Manalo) in the Philippines. It is much like also with the Korean who was born in an oriental religion. Brother Soriano, on the other hand, was born in the Church of God. His parents were already members before he was born. This satisfies the fulfillment of the prophecy of Jeremiah that says “and their governor shall proceed from the midst of them; and I will cause him to draw near, and he shall approach unto me: for who is this that engaged his heart to approach unto me? saith the LORD.” And when that happens, “And ye shall be my people, and I will be your God.” And this will happen in the latter days or in the time of the end. In the time of the end, when the coming of the Lord Jesus Christ is at hand, there is another prophecy in the prophetic book of Revelation that there will be someone who will be reading the Bible. There are those who will hear the words of the prophecy of the Bible when he reads them, people will hear and they will fulfill the things that were written in the prophecy. 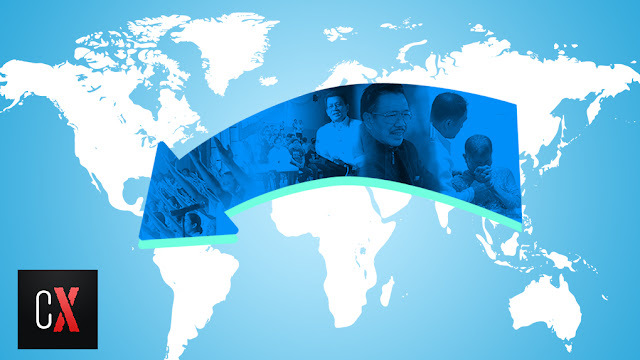 I believe with all my heart that this was fulfilled in this organization that started from the east which is now called popularly as the Church of God International. It was the person of Brother Soriano who was used by God in making his truth be heard from the isles of the sea in the orient or in the east. 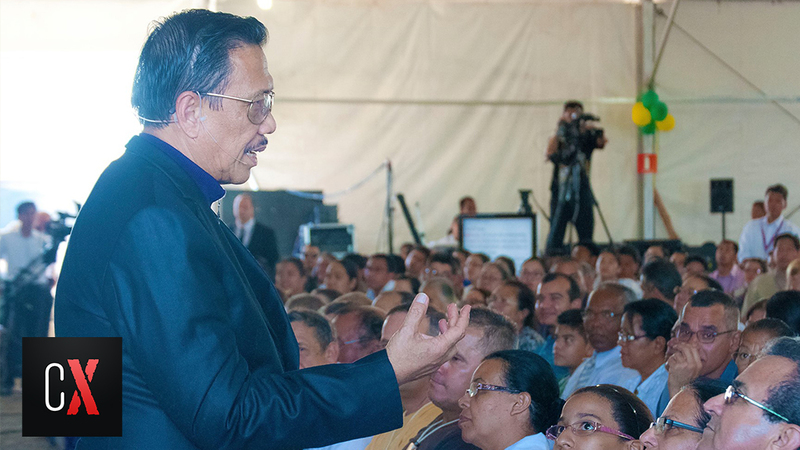 In fact, Brother Soriano is known from the tip to the bottom of the Philippine Islands because of his preaching that he has been doing for four decades of his life. It says that “from the rising the sun and unto the going thereof”, meaning in the west, it is fate and faith that brought Brother Soriano from the east to the west. For your information he is now preaching in the west to make the prophecy be seen among the nations that the Lord God said that from the rising of the sun to its setting, or from the east to the west, “I will save my people in the east country and in the west country.” I believe in the potent work of the words of God. I believe in the powers of the word of God. All of these shall come true. And I’m willing to be a little instrument of this prophecy! “11 And God said, Let the earth bring forth grass, the herb yielding seed, and the fruit tree yielding fruit after his kind, whose seed is in itself, upon the earth: and it was so. It is clear in the verse that God created every herb for food. “Every herb.” Every herb means every plant and every vegetable that is after its kind. I want you to notice the word “after its kind” and “bearing seeds”. The bitter gourd falls into this category. Exodus 12:8 proves this. When God commanded the Israelites to observe the Passover, they were admonished by God to eat the Passover lamb with bitter herbs and there is no doubt that ampalaya is bitter. So it does not mean that if a particular name is not mentioned in the Bible, it is not in the Bible. In fact, the Bible is the mirror from which we can gauge or see things that exist since creation. Even those that have gone extinct can be found in the Bible. For example, dinosaurs, even though they are now extinct, are mentioned in the Bible. They are now extinct, but they are in the Bible. The same thing goes with the Philippines. It was discovered by Ferdinand Magellan on March 16, 1521, and was named in honor of King Philip II of Spain, sometime in 1543. So it was called “Las Islas Filipinas” or The Philippine Islands. There are great nations in the world today that exists whose name is not in the Bible. There is a hint of the nation of Cyprus, even though the word “Cyprus” is not mentioned, The Bible mentions it as Chittim; but the word Cyprus is not in the Bible. America, Great Britain or the United Kingdom are also nowhere to be found in the Bible. There are prophecies in the Bible that do not mention the name; therefore, it is logical that we cannot find those names in the Bible. The last book of the Bible was written in the concluding part of the 1st century of our era . The Old Testament books and the prophets were written from as far back as 1300 years before Christ. So a name which was given to a particular nation only in the 1500’s of our era cannot be found in the Bible and it is logical. But it doesn’t mean that because the name of a particular nation or a country cannot be read in the Bible, that nation is not included in the Biblical prophecy – just like the case of my country, the Philippines. All nations outside Israel, which is the first nation under God, are called Gentiles. And according to the Bible, in the prophecy of the Book of Malachi, the name of the Lord God of Israel will be great among the heathen or the Gentiles. And that starts from the rising of the sun. So, there will be people of God in the east. Let us not discount, however, the possibility that when we say the word “east”, it may mean Japan because it is also in the east. In fact, it is called the Land of the Rising Sun. It may also mean Indonesia. It may also mean the Philippines and other countries in the Far East but what is striking in the prophecy is that it speaks of people praying unto the God of Israel. Never was in the history of Japan or other countries in the Far East that the name of the Lord God of Israel, the God of Abraham, Isaac and Jacob was praised among the Gentiles or the heathen in Japan. So when the name of the Lord God of Israel was first preached unto the Gentiles, the Apostle Paul was the chosen vessel. But let us remember that the Gentiles being spoken of by the Apostle Paul are not the Gentiles in the Far East since he did not preach in the Far East. The Gentiles, to whom God sent the Apostle Paul, are the Gentiles in the surrounding areas of the Holy Land and extends as far as Greece, the Gentiles in the domain of the Roman Empire. But the prophecy in Malachi specifically speaks of Gentiles in the east. So, in that particular prophecy, it is not Apostle Paul who will be the instrument of God in gathering his people in this particular part of the globe. There will be another vessel like Paul who will preach the greatness of the name of the Lord God of Israel in the east; and that east, the rising of the sun, is different from Jerusalem or from the Holy Land that is in the Middle East. Now, is there such a person like the Apostle Paul in the east who will preach the name of the Lord God of Israel? Is there a prophecy that tells about his being and is there a prophecy that tells us the time when this vessel of God or instrument of God like the Apostle Paul will preach the name of the Lord God of Israel in the east? Of course there must be in the Bible because as I have said earlier, there’s always a fulfillment of the truth of God written in the scriptures, especially in the prophecies.